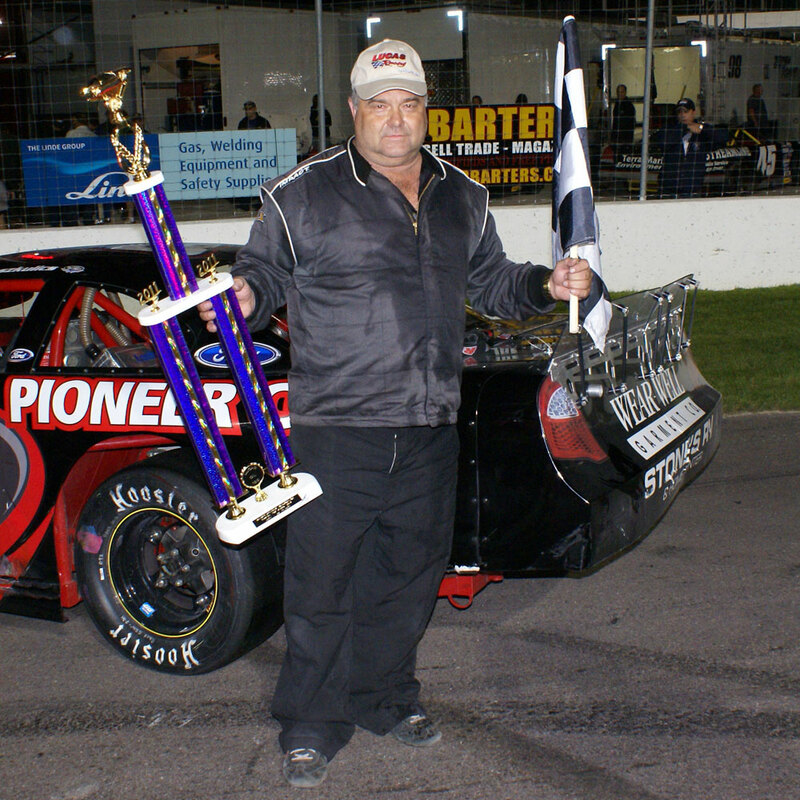 George started Stockcar racing in 1974, he still prepares, maintains and active crew chief. He raced at tracks in Nova Scotia, New Brunswick, Prince Edward Island, New Smyrna Florida and Oxford Maine. In 1995 he had three MASCAR wins. His racing stats are 5 wins, 17 Top 3’s, 34 Top 5’s, 66 top 10’s. George teamed up with Rollie MacDonald of King Racing, helping Rollie with his success in the ACT Tour Busch North, also when Rollie sponsored Scatt Fraser with the ASA Tour. In 2006 he teamed with Nova Racing, taking over the operation and driving the 2nd car, #88, while crew chief for # 89 driven by Donald Chisholm. In 2015 Donald won the Parts For Trucks Maritime Pro Stock Tour Championship and the NASCAR Pint’s Series race at Riverside, NS. George is the one that prepares the stock cars for all the NASCAR drivers who come to Riverside International Speedway to race in the IWK 250.